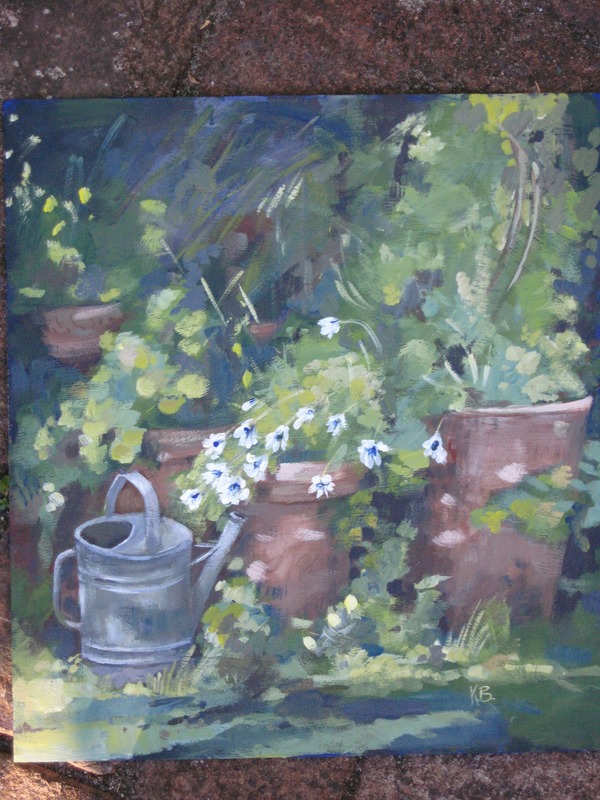 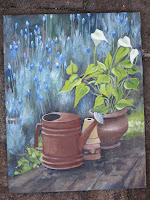 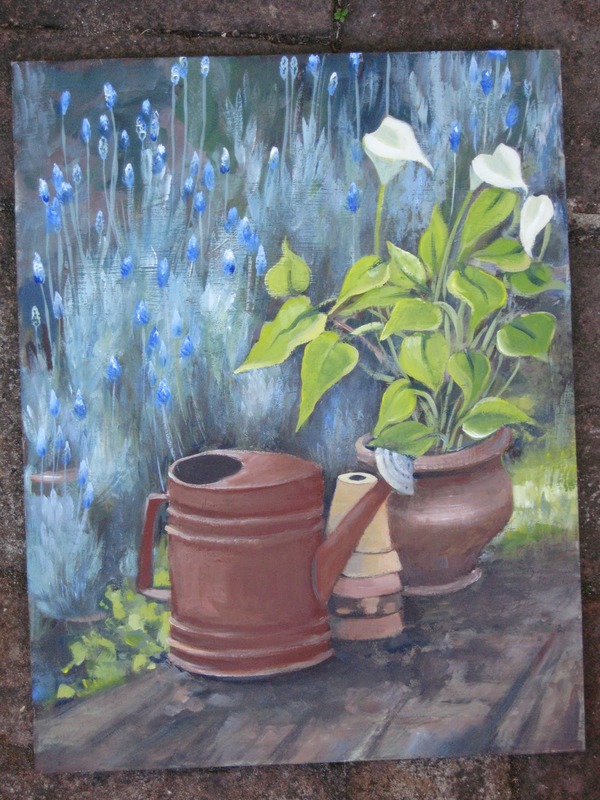 With the gorgeous spring weather and the flowers bursting forth,I have painting round the garden for a series to be published in the Fine and Decorative Painting Magazine in 2013, pending editor's approval...called "Round the Garden" of course.. 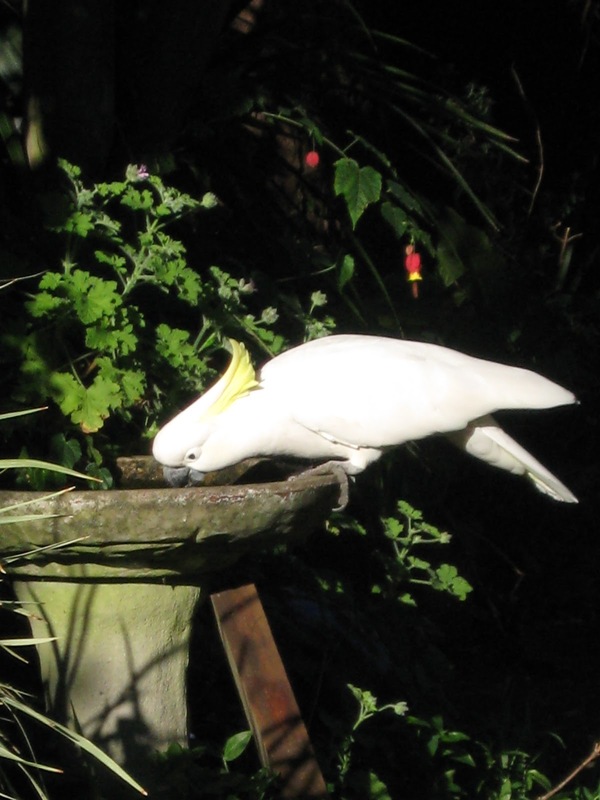 I was sitting quietly painting and snuffling with hayfever from the lime blossom nearby, when this guy flew in for a drink.By the time I got the camera out and took a photo he was gone. The life of a wildlife photographer must be so frustrating.